The 2 Half-Squads: Advanced Squad Leader Podcast: Episode 139: Welk-ome to Season 8! Episode 139: Welk-ome to Season 8! Hakkaa Pallee out of his grip. We're back! Following a long (about 2 weeks) and restful break since the end of season 7, we're back with the most highly anticipated show of the year. In a dramatic change to our format, we've decided to make this and all future episodes EROR FREE. That's right, from ASL rules to history to news we vow to be 100% akurate and indesputably corect -- except for any time when Jeff is talking . . . or typing! (Yes, he knows it's A-r-i-s-t-o-t-l-e and F-35, not 135). 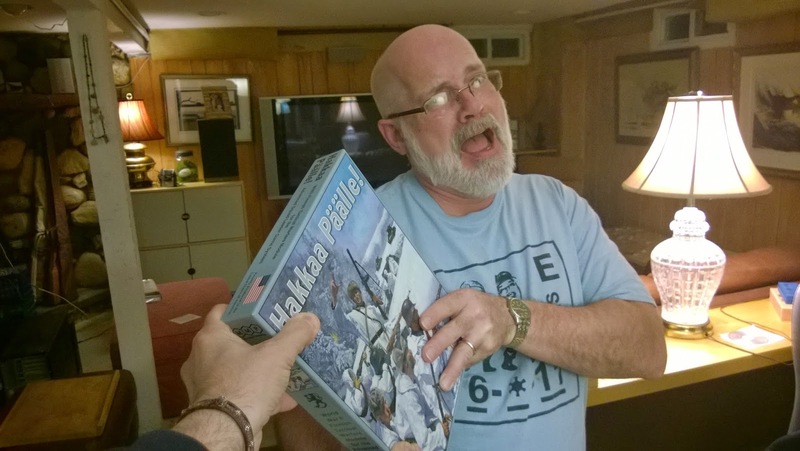 When we last saw our Advanced Squad Leader heroes (Dave and Jeff) they had just concluded an opening of the much anticipated and long elusive Hakkaa Pallee module. 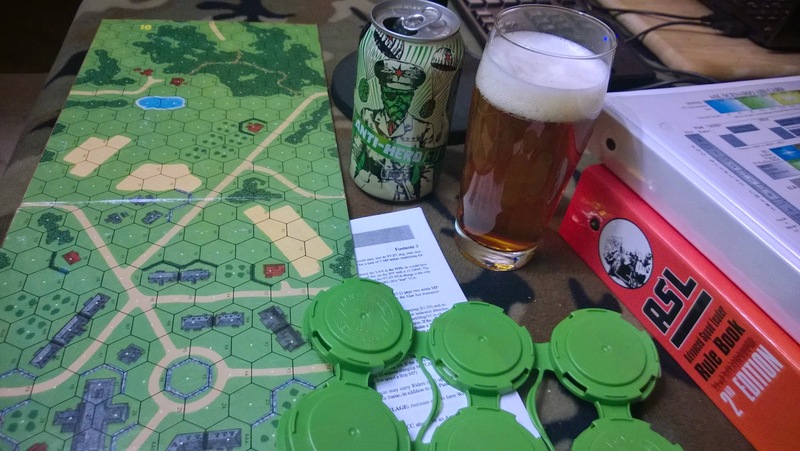 Here we continue the story by looking at the HP terrain and other Finnlandian additions to the Rules including the very cool Prepared Fire Zone, Aerosan and some changes to Chapter E.
But before we start to finish with the Finns we read some splendid listener mail, and then wrap up the Anti Aircraft rules left over from last episode's Air topic. Then we open the box and take a look at Winter Offensive Bonus Pack #6 while exposing our ignorance of Z boards. It's a rare combination of sisu and buffoonery, so stop reading and start listening. Ah-one, and ah-two . . .
Ahem, about getting beer out of those darn holders. More frustrating than a conscript with a flamethrower. Hmmmm. How do I say this.....LAS VEGAS ain't in CALIFORNIA boys! Las Vegas has never, ever, ever been a part of the sunshine state. I'd overlook Jeff making this error but a teacher at a public school. Shame on your sir! Honorable Governor Ed G. Brown Jr.
Report to my office on Monday. We need to review American Geography...AGAIN!